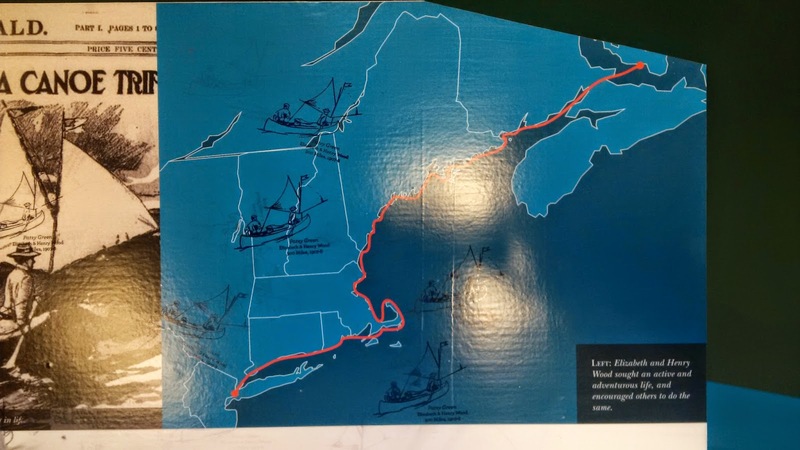 While visiting the Antique Boat Museum in Clayton NY we came across this display about a couple from New York who voyaged by small canoe 900 miles from New York to Prince Edward Island over the summers of 1907 and 1908. 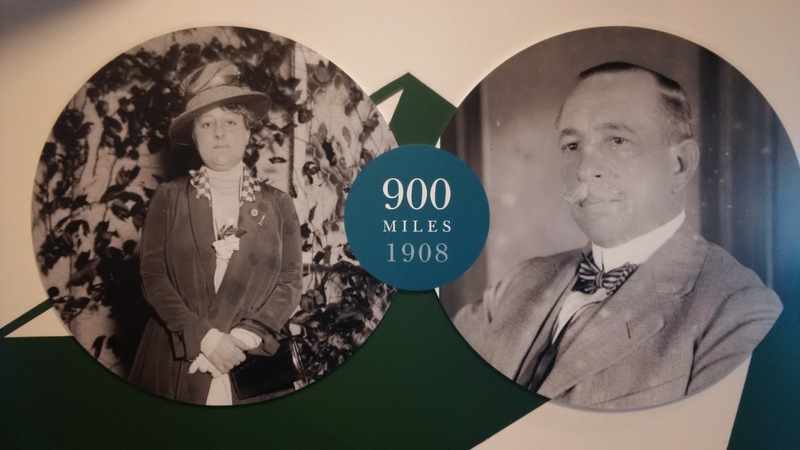 Henry and Elizabeth Wood averaged 35 miles a day and stayed ashore either camping or in private homes. 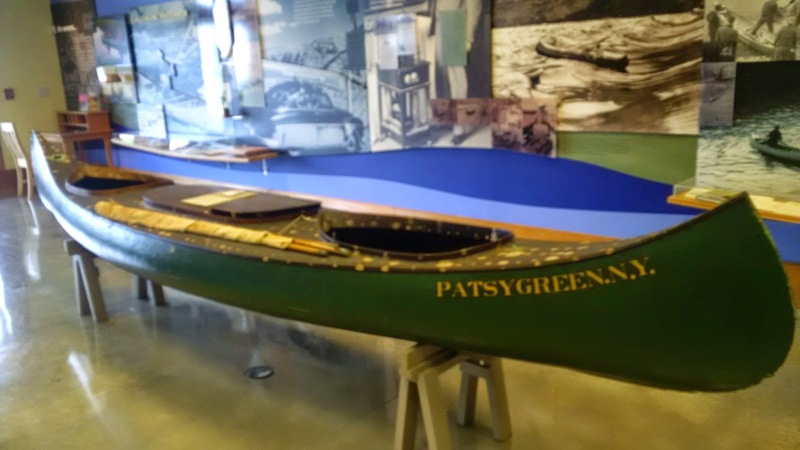 Their vessel was the Patsy Green which they had specifically modified so they could paddle it on the ocean. It did have two small sails to augment their paddling. Henry was a founder of the Cruising Club of America. What an adventure that must have been.